Originally from Bombay, Siona now lives in the US. Her work reflects her background of being brought up Jewish in a predominantly Hindu and Muslim India. 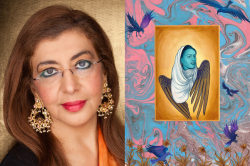 In her paintings, she combines the imagery of her past with the role she plays in America today, making a mosaic inspired by both Indian miniature paintings and Sephardic icons. Siona has been awarded a Fulbright Fellowship for a project titled, “Faces: Weaving Indian Jewish Narratives.” Her work has been featured in The New York Times, The Chicago Tribune, The Philadelphia Inquirer, The Jewish Week in NYC and NJ, The Boston Globe, Art in America, Art New England, Art and Antiques and Moment Magazine. 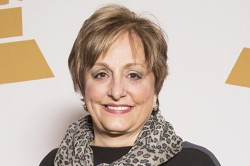 Born in Memphis and now living in Nashville, Nancy Shapiro is the former Senior Vice President at The Recording Academy, the world’s most preeminent music organization best known for celebrating artistic and technical musical excellence through the GRAMMY Awards. She was the highest ranking woman at The Recording Academy. In her enormous role, Nancy oversaw Membership and all of The Recording Academy Chapters, which served over 22,000 members (musicians, producers, engineers, and other music professionals). She also oversaw Corporate Governance, GRAMMY U, the Producers and Engineers Wing, and GRAMMY Professional Development. 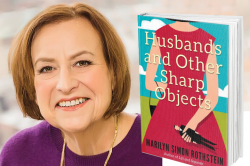 Nancy will be interviewed by Anne Pitts, Executive Director of the Levitt Shell. Rabbi Micah Greenstein has served Temple Israel of Memphis for 26 years. In 2012 and again in 2013, he was named as one of “America’s Top 50 Rabbis” by Newsweek/The Daily Beast. Rabbi Greenstein served as a two-time President of the Memphis Ministers Association and as a member of the Executive Committee of the National Civil Rights Museum. He continues to serve on the Museum’s Board of Directors. He is past-president of the Southwest Association of Reform Rabbis and served on the board of the NAACP. Daphene R. McFerren is the executive director of the Benjamin L. Hooks Institute for Social Change at the University of Memphis. The Hooks Institute programs promote social justice and the removal of disparities that limit the potential of marginalized groups. It’s mission of teaching, studying, and promoting civil rights and social change furthers the legacy of its namesake, the late civil rights activist, Benjamin L. Hooks. 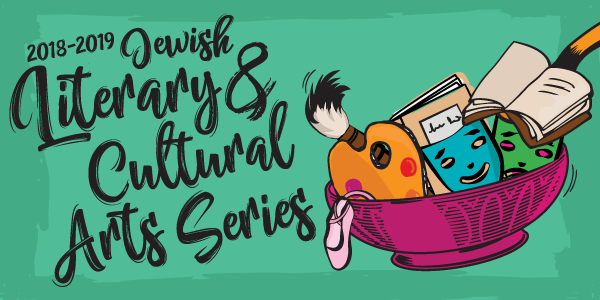 Rabbi Ben Kamin is a clergyman, teacher, counselor, and the award-winning author of eleven books. He is a scholar on the life and work of Dr. Martin Luther King Jr. and has led congregations in the US and Canada. He appears frequently on radio and television and serves on several national boards dealing with community affairs and multicultural relations. Jocie Wurzburg was born in 1940 and is a fifth-generation Memphian. Her life was turned upside down with the assassination of Dr. Martin Luther King. She left “Jewish civil service” to get involved in race relations work. That led to drafting civil rights legislation, law school, gubernatorial and national (and even a Presidential) appointments, awards for activism, and a divorce. She is Memphis’ first professional mediator. Commissioner Van Turner is currently serving the public as a Shelby County Commissioner for District 12. 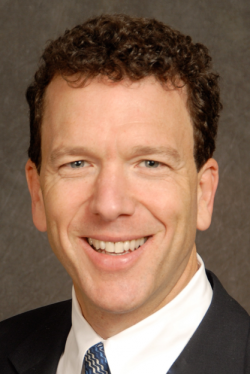 He participates and has served on the board of directors of several legal and professional organizations. In addition, Mr. Turner has been active in a number of other professional, civic and community organizations, including the Economic Club of Memphis, Board of Directors for the Memphis Branch of the NAACP, Leadership Academy and Leadership Memphis, among others. 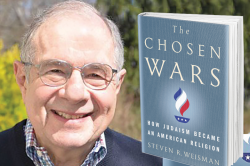 Steven R. Weisman, vice president for publications and communications at the Peterson Institute for International Economics (PIIE), previously served as a correspondent, editor, and editorial board member at The New York Times. His book The Great Tax Wars: How the Income Tax Transformed America, received the Sidney Hillman Award in 2003. "The depth of Englander’s feeling is the thing that separates him from just about everyone. You can hear his heart thumping feverishly on every page." 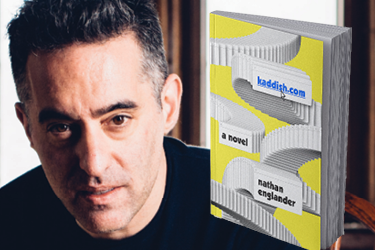 Nathan Englander is the author of the story collections For the Relief of Unbearable Urges, an international best seller, and What We Talk About When We Talk About Anne Frank, and the novels The Ministry of Special Cases and Dinner at the Center of the Earth. His books have been translated into twenty-two languages, and he is the recipient of a Guggenheim Fellowship, a PEN/Malamud Award, the Frank O'Connor Award, the Sue Kaufman Prize from the American Academy of Arts & Letters and was a Finalist for the Pulitzer Prize in 2013. His play The Twenty-Seventh Man premiered at the Public Theater in 2012. He is Distinguished Writer in Residence at New York University and lives in Brooklyn, New York, with his wife and daughter. His newest novel, kaddish.com will be available March 2019.